This is by the author of BeGameboy and BePCEngine. 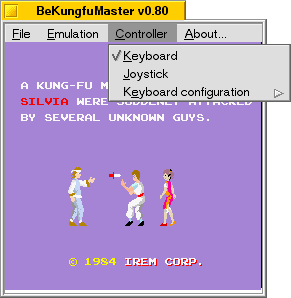 It emulates Kung-Fu Master, but there is no sound support yet. It is a sample of the authors arcade emulators.